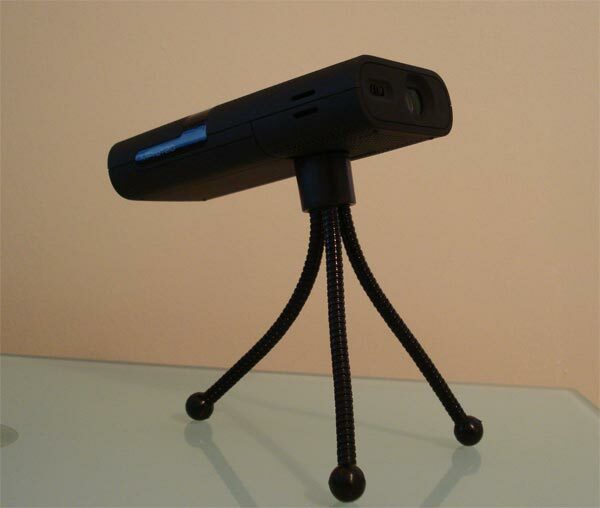 Were have been lucky enough to get our hands on of of 3M’s pocket projectors, the 3M MPro120 Pocket Projector, and we have been testing out out over the last week to see how well this handheld projector performed. The 3M MPro120 is pretty compact measuring just 120mm in length by 60mm wide, and just 24mm thick, it is lightweight and highly portable weighing in at just 154 grams. 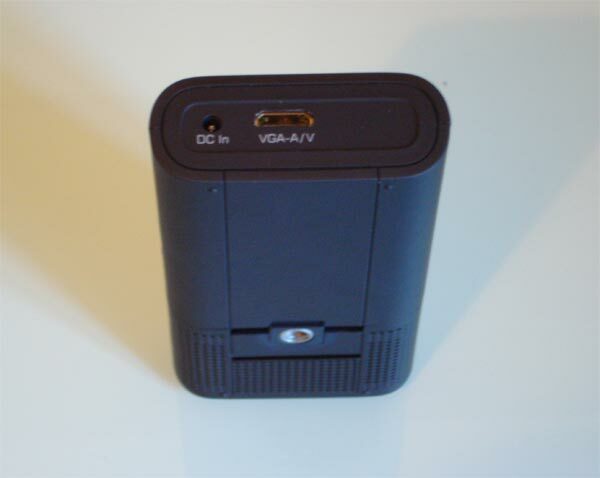 In the box you get the projector, a mini tripod, an ac adapter, a cable to hook it up to the VGA port on your laptop, and a composite AV cable which will let you hook it up to a digital camera, and even your iPhone, although you will need an additional adapter for this. 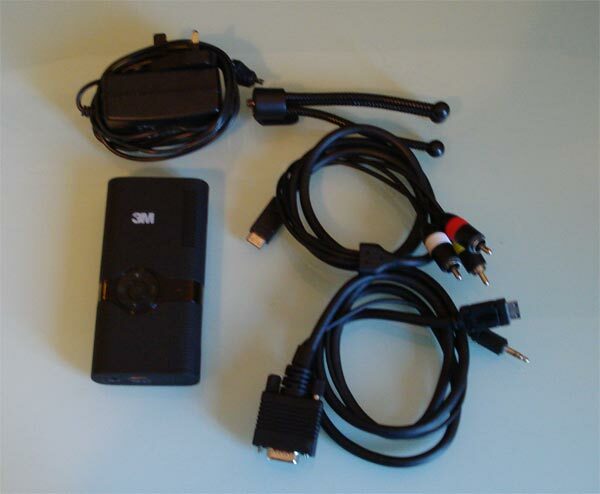 First off lets take a look at the specifications, the 3M MPro120 features a native resolution of 640 x 480 (VGA), and it can project a screen size from eight inches all the way up to fifty inches, and it features a rechargeable lithium polymer battery which will give you up to four hours of usage. The battery lives up to the manufacturers claims, on the lower brightness setting you will get up to four hours of usage and on the brighter setting it came in at just over three hours. 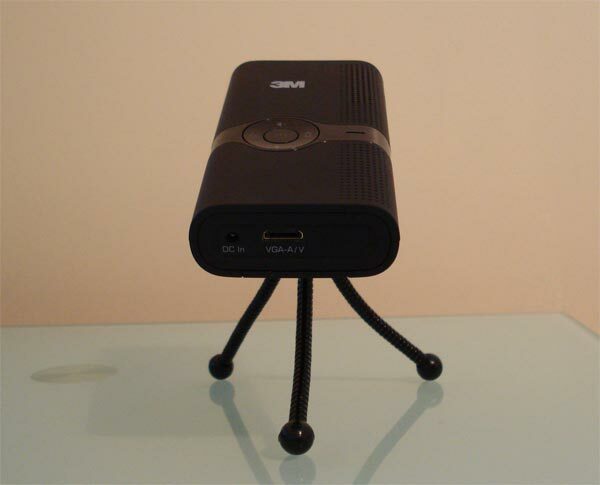 You can also power the projector via the AC adapter, and it will also charge at the same time, which could come in quite handy for presentations. 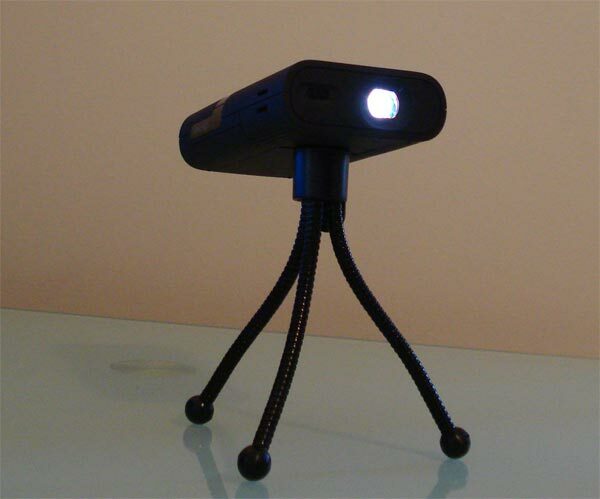 Picture quality with the lights on isn’t the best, although it is watchable and sort of what you would expect from such a small projector, but using the it with the lights off is a different matter, and the picture quality is impressive for such a small device. 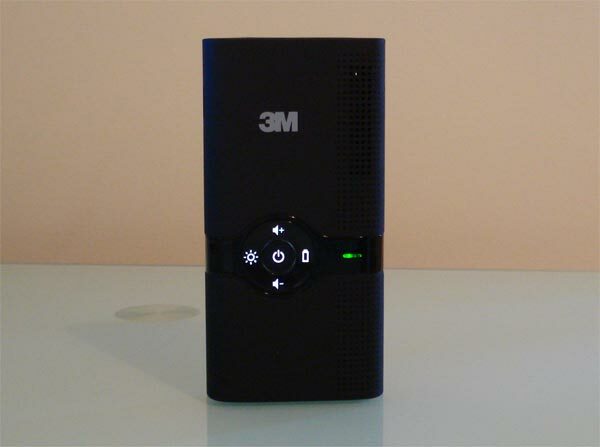 The 3M Mpro120 features two 0.5 watt speakers, which aren’t the loudest, I would recommend adding a portable speaker to it especially for watching movies. 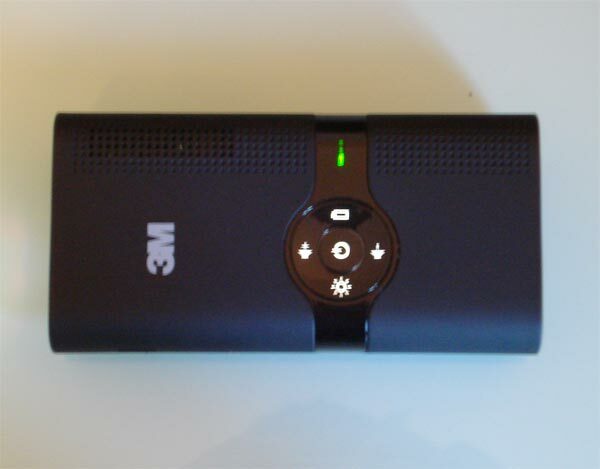 Overall the 3M MPro120 Pocket Projector is impressive, we really liked it, and were impressed by it being able to project such large images for such a small device. 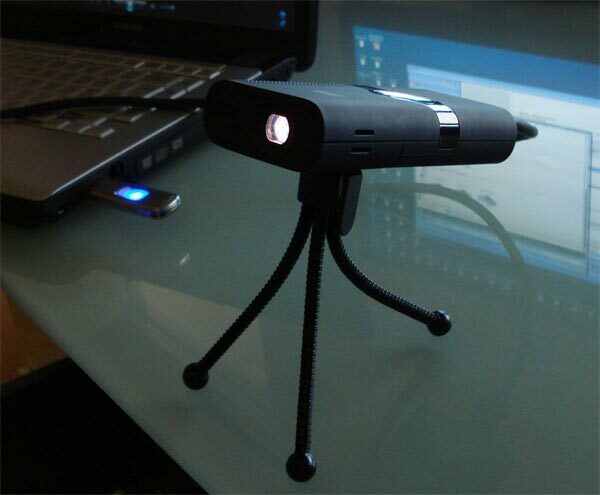 If you are looking for a portable projector that is easy to carry around for presentations, and watching the occasional movie, then the 3M MPro120 will do the job, and do it pretty well for such a small device. 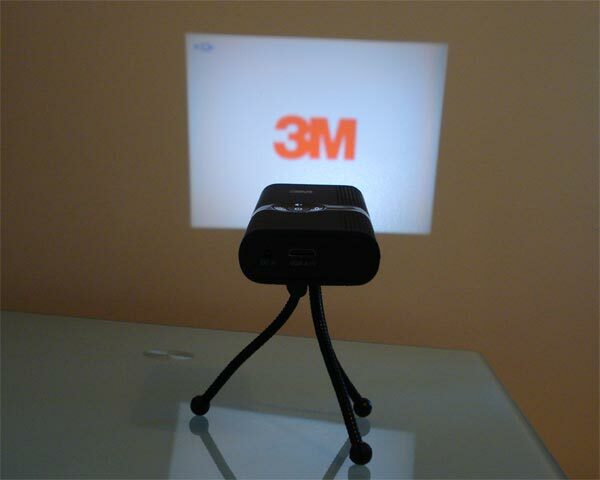 The 3M MPro120 Pocket Projector is available now for £299 from 3M, you can also find more details and specifications over at the 3M website.